I did not order the enclosure through backerkit survey but am considering ordering one now. How would I go about doing that? Have you tried going back to Backerkit and adding it to your order? I think if your order hasn’t shipped you might be able to add it still. I have. I’ve actually had my Snapmaker since late December so I didn’t see any option to add on anything in backerkit. The purchase process may be a bit different for different users. For users before the December batch, you will be able to order the enclosure on our online store which will be released next month. For users after the December batch and whose BackerKit survey is locked down, you will be able to order the enclosure on our online store which will be released next month. 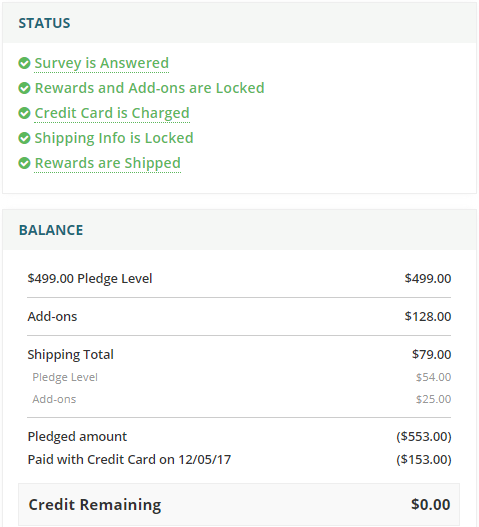 For users after the December batch and whose BackerKit survey is not locked down yet, please go to your BackerKit survey and add the enclosure to your order before the survey is locked down. Thank you! Looking forward to being able to order it in the online store! i would also be interested to find out when the enclosure will be available to order. Please can you update us? I “need” to order an enclosure along with another snapmaker (1 is not enough and the print quality is better than on my Ultimaker 3!!!). But I don’t need another CNC and Laser module. Will there be a way? FYI - I sent an e-mail to all the Snapmaker e-mail addresses asking a very similar question. As soon as I hear back, I’ll let you know. For users before the December batch, you will be able to order the enclosure or more replacements on our online store which will be released next month. For users after the December batch and whose BackerKit survey is locked down, you will be able to order the enclosure or more replacements on our online store which will be released next month.